I thought how true this was of marriage and of any significant relationship. Sometimes we’re needy and the other tends to us and sometimes we’re strong and take care of the other. Problems in relationships occur when we take fixed roles. One person thinks that he must always be the strong one, always have the answers, always be the provider. In other words, one is always the gardener. Also in some relationships, people always want to be the garden. She is always needy and insecure and needs the other to give attention and be the provider. If we get stuck this way, then we can never evolve as individuals and neither can our relationship grow or blossom. Are you and your and your significant others taking turns with the gardening? Ask yourself if you are the gardener or the garden in your significant relationships and attempt to vary the role – you’ll find much more growth and meaning in your relationship, I guarantee. No garden, but I am glad that both of us divide the housework. Thanks for sharing! I guess knowingly or unknowingly all healthy relationships will be taking turns in being a gardener and a garden. So profound Corinne. Such a marvelous thought. Marriages is like that isn’t it – the give and the take. Very well put, Corinne. I like the analogy of marriage/relationships to gardening. Thanks for the visit, the comment and for feeling the connection. I am so grateful that the universe has brought me amazing people throughout my blogging experience. I love this post because I am constantly challenged to understand the need to be flexible, to help and to assume roles that at times might not be what I perceive to be mine. Thanks. I find that I am expected to always tend the garden. While I like attending my partner’s needs, I can not fill them all and mine… will wait. Depending upon the situation i guess i change roles. I am going to bookmark this post for my future reference. It would be much easier for me to make myself and the persons concern to understand the importance of exchange of roles for a happy, prosperous and a strong relationship. This is a lovely post Corinne. All my life I’ve been the gardener in every relationship – granddaughter, daughter, sister, wife, mother. No wonder I’m tired. There must be someone out there who will allow me to be the garden for a little while. Sigh! “Sometimes we’re needy and the other tends to us and sometimes we’re strong and take care of the other.” Absolutely. Usually, it is The Husband who is the gardener, but he sometimes does ask for help and depends on me to lift him up, so I guess you could say that we do take turns! I like how you point out that fixed roles tend to fail. I look back on my relationships that have failed, and I can’t think of one where we DIDN’T take on fixed roles. You’re enlightening as always. Great insight Corinne! And I agree. Any relationship needs a give and take and taking turns makes both parties more committed and accountable to each one. What a beautiful comparison and it makes so much sense! I feel lucky as sometimes I am the one being taken care of by my husband but some other times I am the “gardener”. Corinne in marriage I am blessed…but in most other relationships tend to be the gardener which is terribly tiring….also the change over never seems to happen and when tried turns sour…still learning to make others see that at times I also need the tending…. Well, Carla Bruni once said that ‘monogamy bored her’. We French have mixed feelings about her.that said, maybe, this time, what she said makes sense! What a beautiful thought Corinne. I loved the way the whole gardening thing works out. You’re right, it takes quite a significant amount of courage to open up and accept that you are hurting and that you need help. I hope one day I find a guy whom I can show my vulnerable side to, maybe, just maybe he might understand without me having to tell too. You have written a lovely post. At times I feel that I am always the gardener, but the reality is that I am not. Just as I feel that I am the only one who empties the dishwasher or takes out the garbage, I know that is not the case and sometimes we just have to ask. Most of the time, I am the Gardner. And at times it does gets on my nerves. Very interesting analogy and a thought provoking post. Indeed, marriage or any other relationship is about alternating roles between the garden and the gardener. And as you pointed out, it is difficult for so many people to seek. They somehow feel that they must be strong no matter what. I find that in my husband too. But, I’ve seen him open out more in his communication and about his needs which is good. On a tangential note, I find that people start equating strength with no dependence. Whereas, I believe that for any relationship to really thrive, we need to depend on each other and be depended upon. A lovely post! BTW, I am not getting your email notifications. You may want to check that. It is nice when someone takes care of you. We take care of each other and for me that is very important in a relationship. This is so very true. I loved the analogy of garden and gardener. Wow Corinne, such a beautiful thought. 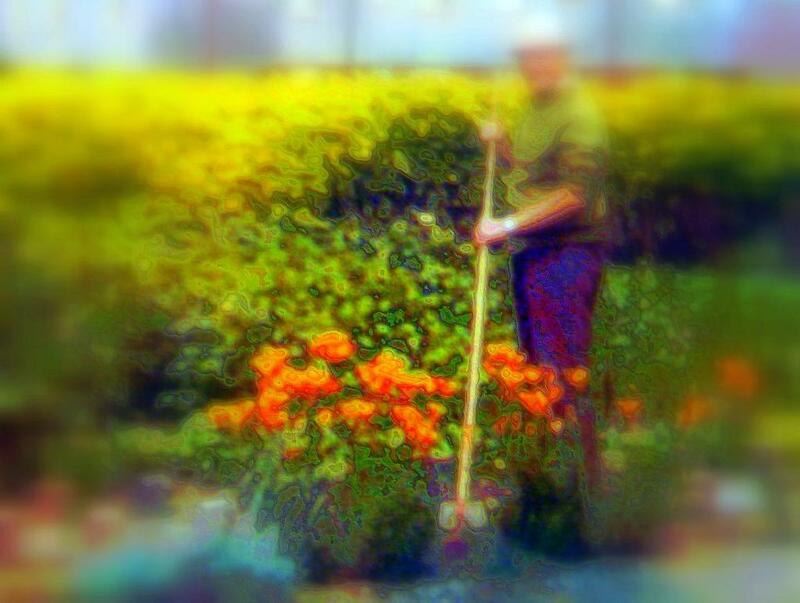 In my case too I am like the gardener and find it difficult to ask for help or care. But the beauty is that my husband knows when to be the gardener without any hints. Yes of course such a balance should be for all relationships not just wife and husband. Yes,Corrine.This is a very touching post. I don’t know much about Carla Bruni Sarkozi except that I liked her album very, very much. I used to play it in the cafe all the time. And you already know through my groans and moans that I have taken over most of the literal gardening in our marriage. But you’re right about the metaphorical gardening, sometimes it’s nice to be the one who gets tended instead of doing all the tending. I was waiting for you to read about the gardening, Cairn. I knew you’d have something to say! About Carla I do love her music. You’re right, Sangeeta. It should happen instinctively, but sometimes we either forget – or fall into patterns of behavior that may not be good for either spouse or friend. Very well said Corinne. I guess the secret to a happy relationship is role reversal at pertinent times. Such a wonderful analogy, Corinne! When I look at our relationship, Danny and I seem to be able to switch those roles depending upon who needs what, when. We all need tending to from time to time, but we have to be willing to give nurturing to our partners when they require some tender loving care. Glad you found it so, Martha. I’m so glad you found a mutually giving and nurturing partner in Danny. We are blessed! This is simply beautiful and such a profound thought! Simply loved it! Yes, we both take turns to be the garden and the gardener! Guess, to be in a relationship that works one must be both a giver, as well a receiver. Glad you liked it, Shilpa. A relationship of mutually love, respect and giving is what we all should seek. Being a nurse is your profession, Melissa – and it becomes hard to separate our care-giving. I’m glad you’re learning to receive. That’s the only way we can be healed. Oh yes…both of us take turns on being the gardener. Sometimes I’m needy and vulnerable and a simple hug from him works wonders. Sometimes he’s tired and exhausted and a simple head massage or a cup of tea without being asked for from me makes him happy.